"Kind reminder: Products colors differ a little due to different displayer." 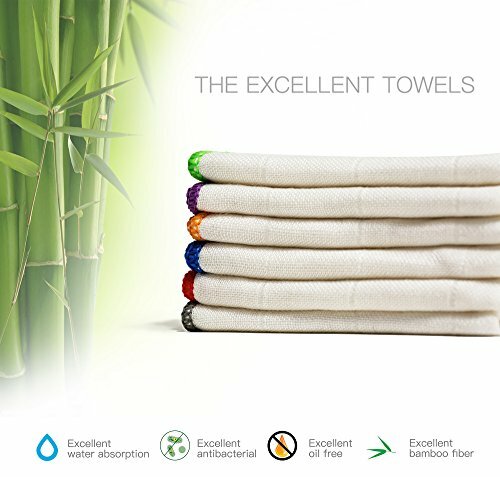 THE HIGHT QUALITY LIFE - 6 pack of each size 11.8"X11.8", 100% with natural bamboo fibers, it's organic with soft feel, eco-friendly, sustainable using- so good for your health and good for our planet! it's air breathing and fast drying, therefore no mildew after using like other towels do. If you have any questions about this product by BONDRE, contact us by completing and submitting the form below. If you are looking for a specif part number, please include it with your message.